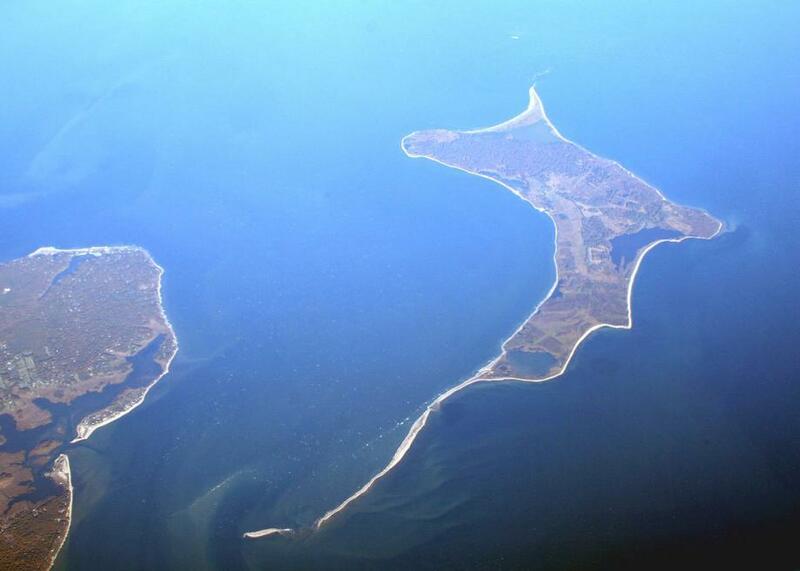 Gardiners Island in New York state has been owned by the same family and its descendants for almost 400 years. An aerial view of the island. As far as forever goes, that remains to be seen. But the descendants of Lion Gardiner still hold the 3,300-acre island, making Gardiners Island the oldest estate in the United States and the only royal grant from the English Crown still intact in the country. Over the last 400 years, the island has been embroiled in a series of contemporary flashpoints. In 1657, Gardiner’s first daughter Elizabeth would initiate the first witch hunt in an American colony when, at 15, her accusations of witchcraft led to the arrest and persecution of a farmhand’s wife. In 1699, pirate Captain Kidd buried $30,000 worth of treasure—in rubies, diamonds, and bars of silver—on the island. He was kind enough to ask permission to do so but also threatened to murder the family if the treasure wasn’t still there when he returned. Mrs. Gardiner, the island’s proprietor at the time, was later ordered to deliver the booty to the court in Boston where Kidd sat trial. It was pretty compelling evidence for piracy—Kidd was executed. In more recent years, the island has primarily made headlines for its strict no-trespassing policy and a contentious legal battle between two possible heirs. As of now, the island is unilaterally owned by Gardiner-descendant Alexandra Creel Goelet, who intends, predictably, to keep it in the family. Submitted by Atlas Obscura contributor The Minx. For more on Gardiners Island, visit Atlas Obscura! In a German town, the Church of the Flying Spaghetti Monster gets its own traffic signs. A Pittsburgh museum dedicated to remembering the ways in which humanity is messing with evolution.